There are billions of web pages on the internet. So, how to compete with these web pages to rank high on search engines? The answer is ‘Great Content’. 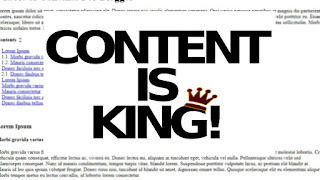 Still, you have to believe the popular word “Content is King”. 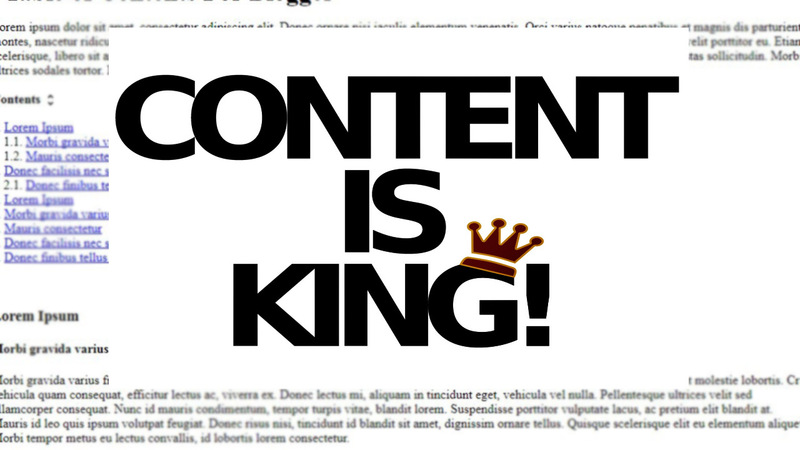 Without producing great blog content you will be failed to take advantages of content marketing. 90% of the blogs on the internet delivering low-quality content. Therefore, you have a great chance to defeat them easily. Producing a great blog post need more time and it’s so difficult without proper knowledge about the topic. If you are serious about blogging and make money from your blog, you have to think seriously about your content. Micro-niche bloggers should more concern about their targeting content to make money micro-niche blogging. Here are some tips & tricks for writing valuable blog content. This is the most important part of your game. Find resources to find information about your topic. Nowadays you can bring a ton of information from online. You need to be knowledgeable about your topic. Search your topic on google and read all blog post on the first page. Gather knowledge and information from them and write important things on a paper sheet. You will see bloggers who are in the first page have written about 1000-2000 words. You need to deliver those kinds of long article to get search results. This is the important fact that you need to consider after gathering information about the topic. There are many free and paid tools that you can use for doing keyword research. Google Adword Keyword Planner and Google Trends are some popular free tools to analyze keywords. If you are serious about the keyword research I suggest you use paid tools. With paid tools, you can do deep analyses. You need to analyze websites that took first places. Analyze all search terms and identify which are the most competitive search terms. Then you can decide what are the low completive keywords and who are the bloggers that taken higher positions for your selected keywords. You need to identify how your competitors target such keywords to rank higher positions. You need to learn basic SEO to take your blog to take better positions. You need to do basic SEO things correctly to beat your competitors. Analyze their Page authority, Domain authority, backlinks….etc. Now you have already gathered essential information. After doing your researches you can come to this stage. Decide what you should write and how deep write your article. Divide your whole article into some few subtopics. Then you can think about what I write for those subtopics. You need to remember how to include your targeting keywords within the blog post. As well as you need to find some places to do interlinking with existing blog posts. Here, you need to follow your own writing passion. Don’t follow other writing methods. Always write a blog post by remembering you are sitting in front of your reader. Teach them about the topic and use adjectives and adverbs to deliver attracting article. Always be unique and don’t copy and paste from other blogs. You need to satisfy your reader. Write your content at least 1000 words. Before publishing your content you need to do essential things in your blog post. Which means you need to do categorize your article, make SEO friendly URLs, upload unique images, Image SEO…etc. After doing these things you can click the publish button. After publishing you need to share your content in social media channels. Share your content on facebook pages and groups, Reddit, StumbleUpon, Twitter, LinkedIn and google plus. Getting targeted traffic is important. You need to do off page SEO things to do better search rankings. Learn basic SEO and make your blog according to them. You need to wait sometimes to experience the SEO benefits. Work hard and I hope you will succeed after following these tips.